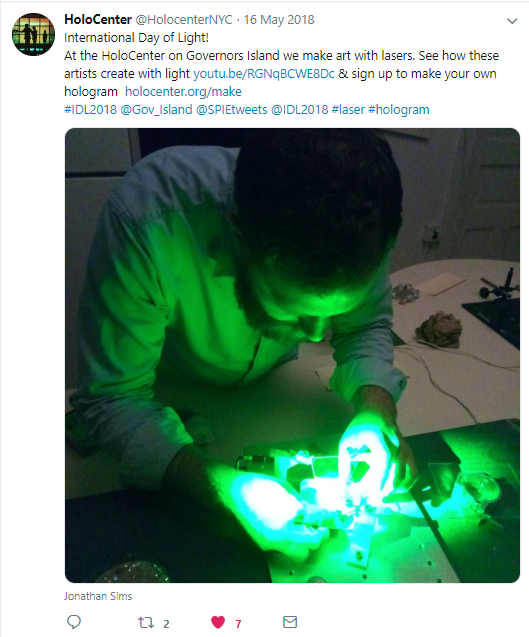 Despite cold, rainy weather in May and June of 2018, over 2000 people made the ferry boat ride from Manhattan and Brooklyn out to Governor's Island in New York City to attend "Artist Photonics," a five week exhibition held at HoloCenter: Center for the Holographic Arts in recognition of the first annual IDL. A team of 30 HoloCenter artists displayed their work at the exhibition. The artists were encouraged to discuss how they work with light, and explain their processes to the school groups and general public who toured the exhibition. One of the artists, Martina Mrongovius, shared, "We named the exhibition and the video, 'Artist Photonics' to encourage people to ask what photonics is." They further educated the public by tweeting about their exhibit, and promoting IDL with fun pictures as shown below. 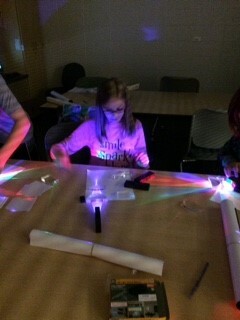 In addition to the artwork displayed, there were interactive elements to the exhibition such as diffractive glasses and 'glow-drawing' with UV flashlights. The HoloCenter team went a step further and included a laser display, along with a library stocked full of photonics resources. Learning is always more fun when it's hands on! About two hours south of the SPIE Headquarters in Bellingham, Washington, is the small city of Sumner. SPIE Member and educator, Nancy Magnani, organized multiple activities at Sumner Middle School during the month of May with help of an IDL Micro Grant. Three school clubs -- Science, Photography, and Creative Writing -- were involved in setting up activities for the students, which included a photo contest called "Light in Our Daily Lives," a student-produced and written play, telescope-building events, and a series of lessons about lasers in the Science Club. 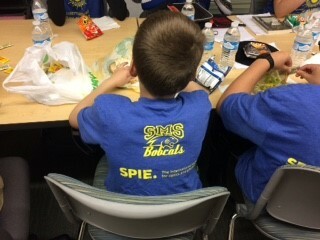 Festive t-shirts incorporating the SPIE, IDL, and Sumner School logos were also made to help the students and faculty volunteers get in the spirit of IDL. The students not only wore the shirts to celebrate on 16 May, but Magnani reports that they continue to wear them throughout the year. "Never underestimate the value of a t-shirt," she says. Overall, there was positive feedback from both students and faculty around the IDL events. Magnani shares, "From a personal view, this was a great way to involve more students in club activities. 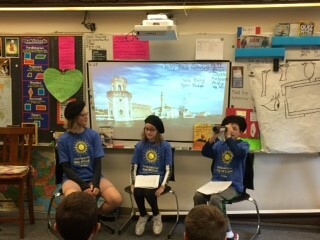 The students were so excited to write the play, present the play, and share their knowledge of telescopes. 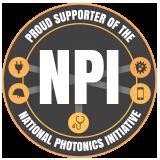 From an advisor standpoint, the funds are much appreciated as we were able to learn a lot about optics and photonics and explore content not in the curriculum. I will definitely have students coming back to Science Club next year!"